A Savegame with my female Character. 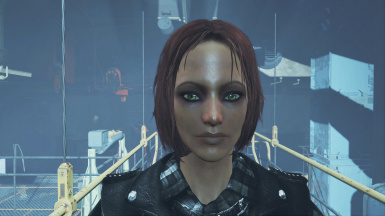 A Savegame with my female Character prior to leaving the Vault. 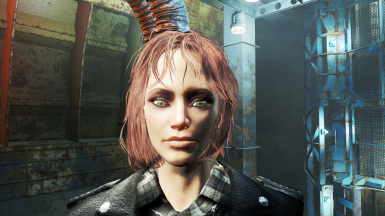 Instead of the Vaultsuit i added Roadleathers. I'm not yet finished with the eyes, better said the eye shadow. I think i have to keep experimenting to get rid of that dark zone. V2 up with little changes. Added required mods to look like the Screenshots.